Last visit I saw the fields without water. Today I was going to walk along the river and to reach this green fields. There is mist near river when I came here. In the mist I heard the unknown to me calls of birds in the top of trees. I thought I couldn’t to find them and was going to continue my trip. 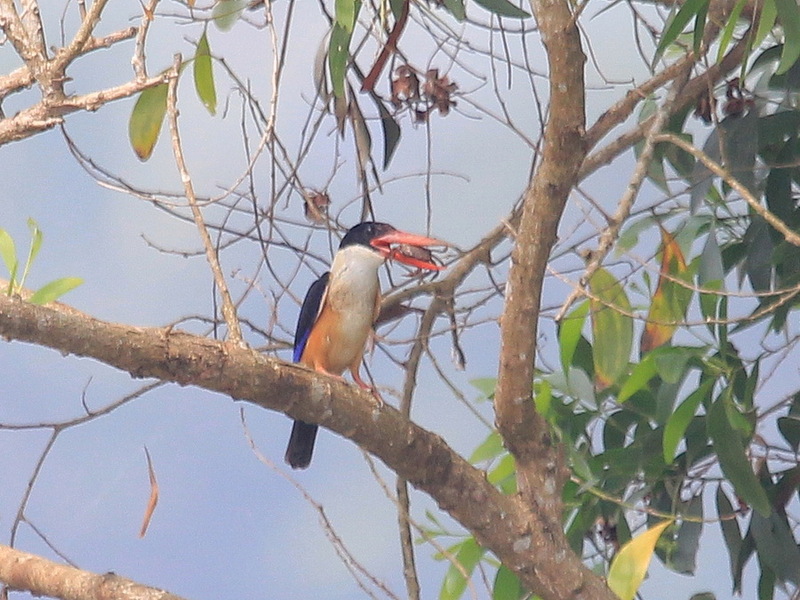 But this moment the large Stork-billed Kingfisher perched to branch and joined to call of other birds. O my God! The Stork-billed Kingfishers call in mist! I took photos of Kingfisher perching near my, and later of two other birds. All of three birds were very calm, though usually they are quite shy. Day started very good. 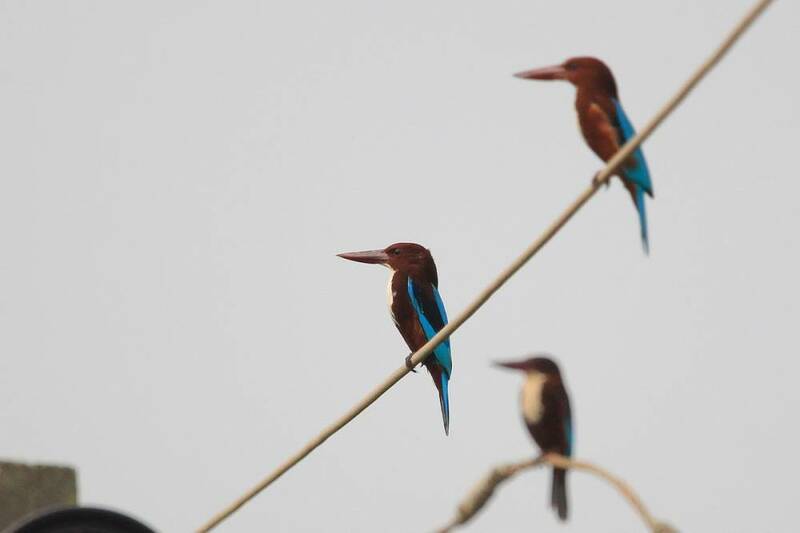 When I later got the village I see two more Stork-billed Kingfishers perched in wires. 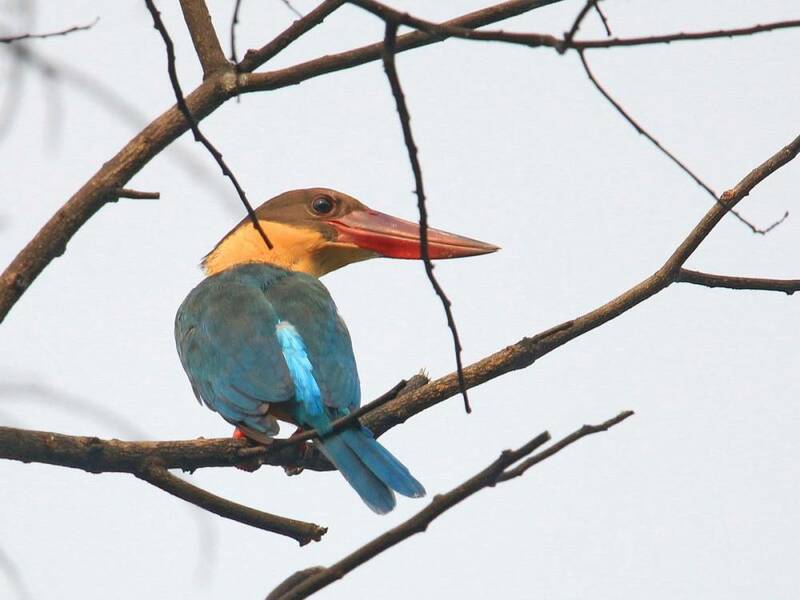 Five Stork-billed Kingfishers in one day! Near the village I some deepen to forest, and some time stayed motionless and soundless. After a short time birds began to occur. 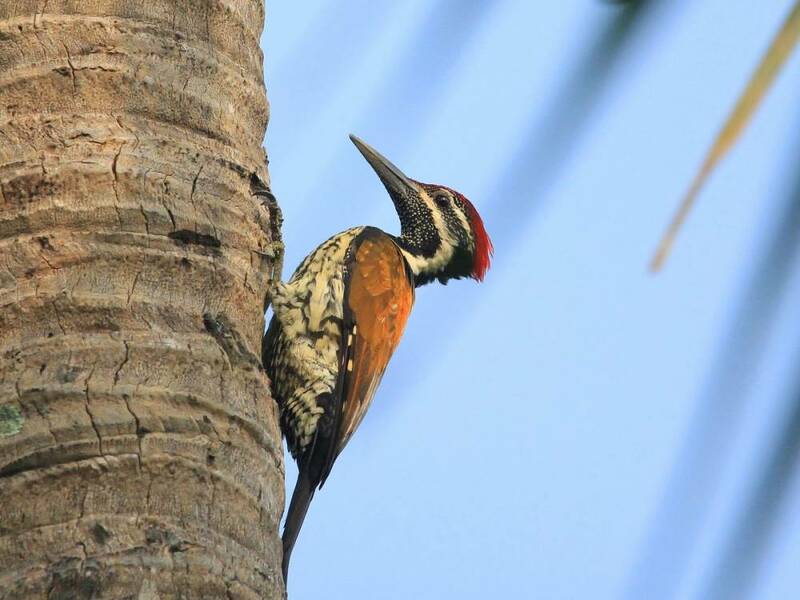 I saw Golden Orioles, Paradise Flycatcher, 2 Black-rumped Flamebacks (couple? ), and 2 White-cheeked Barbets. 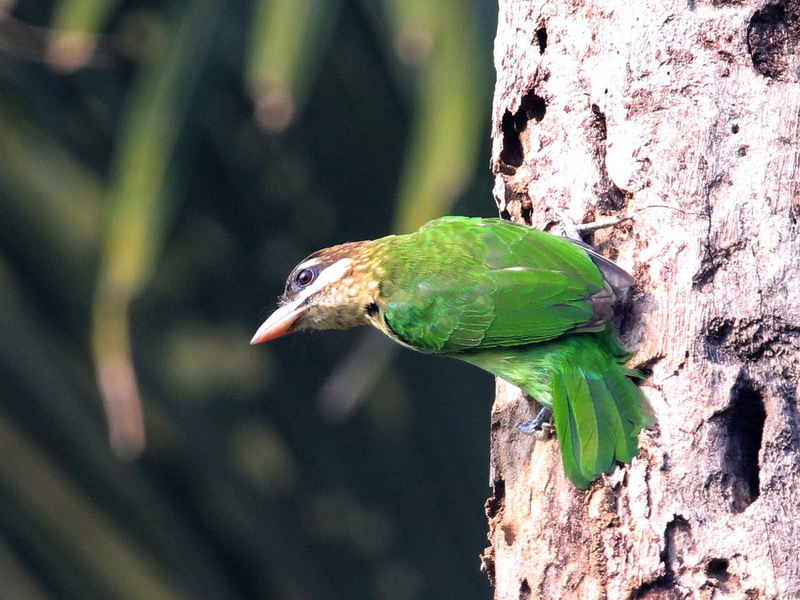 Some days ago I noticed bright green mantle in the tree, and recorded this Barbet, but with question mark. 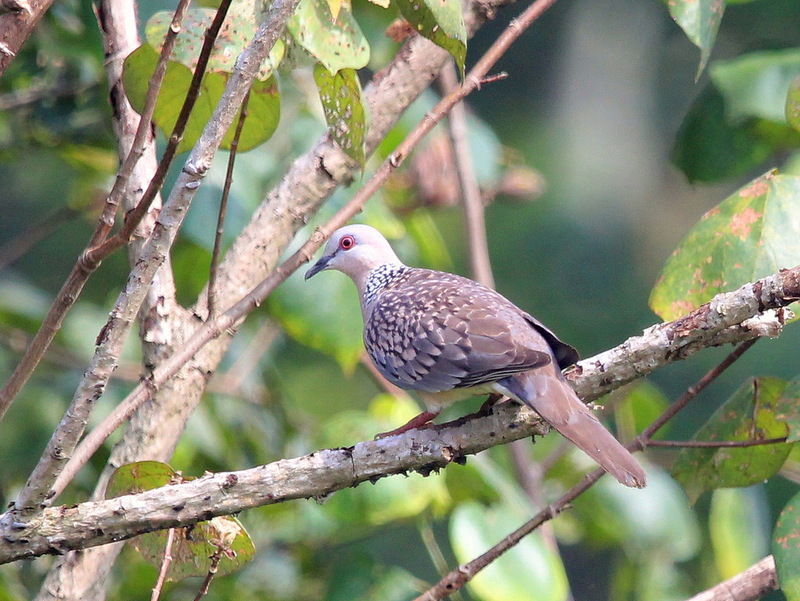 There is one principle of birding – if you once seen bird, you will see it again. Once I noticed green back of bird, today I confirmed my suggestion of White-cheeked Barbet. 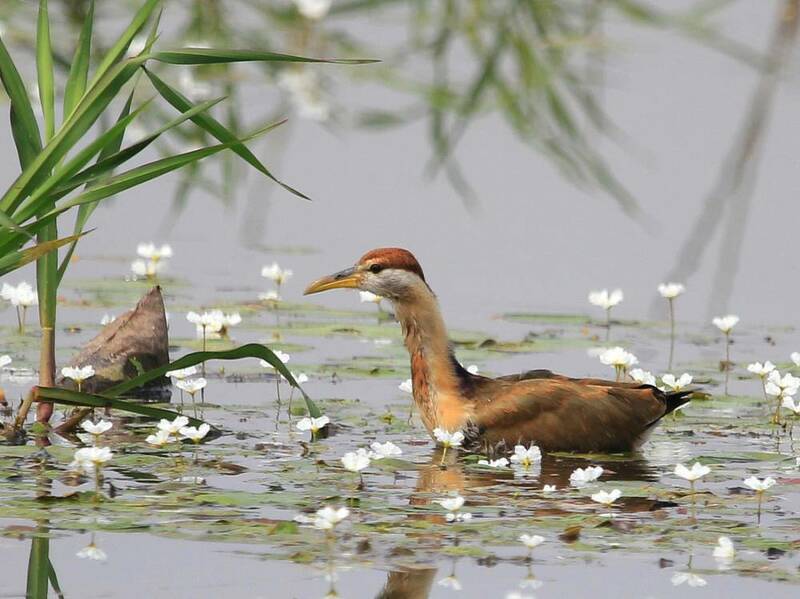 By the way, today this principle also borne out in Green Sandpiper and Common Snipe. After some birding trips without record of Green Sandpiper I became to doubt, because I could be confused Green Sandpiper with Wood one which is most of popular wader here. 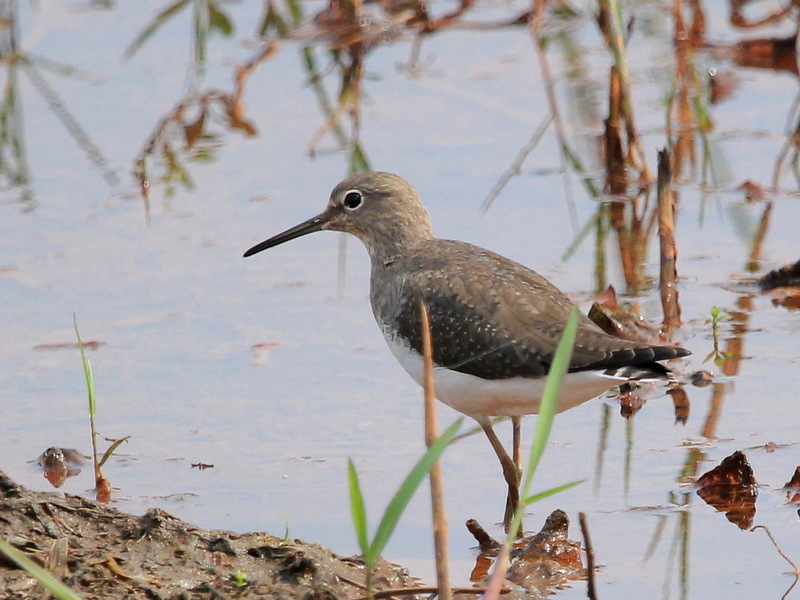 But today i confirmed my record of Green Sandpiper by photo. Ducks appear too. 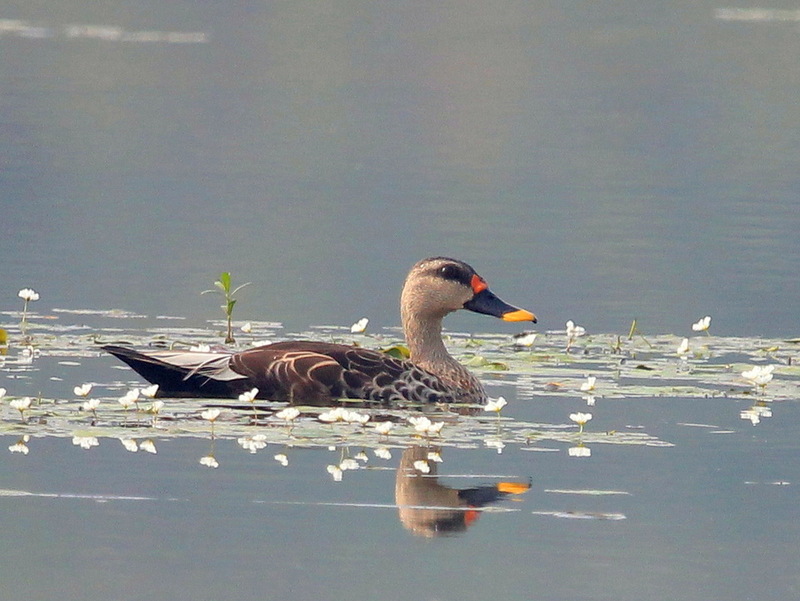 I saw one Lesser Whislting Duck and one Indian Spot-billed Duck. 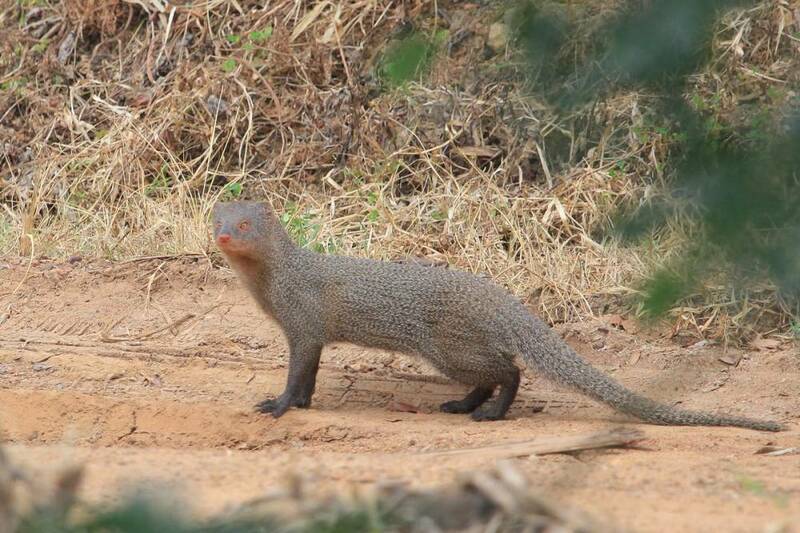 It’s great when you see several relating species in one day. 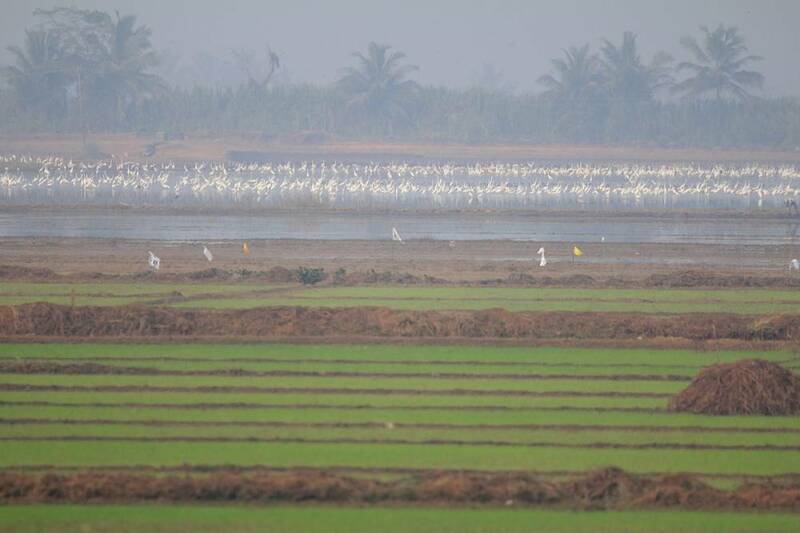 Every visit to Puzhakkal I watched Storks, in total four species, but never all four species in one day, and never less than two species in one day. 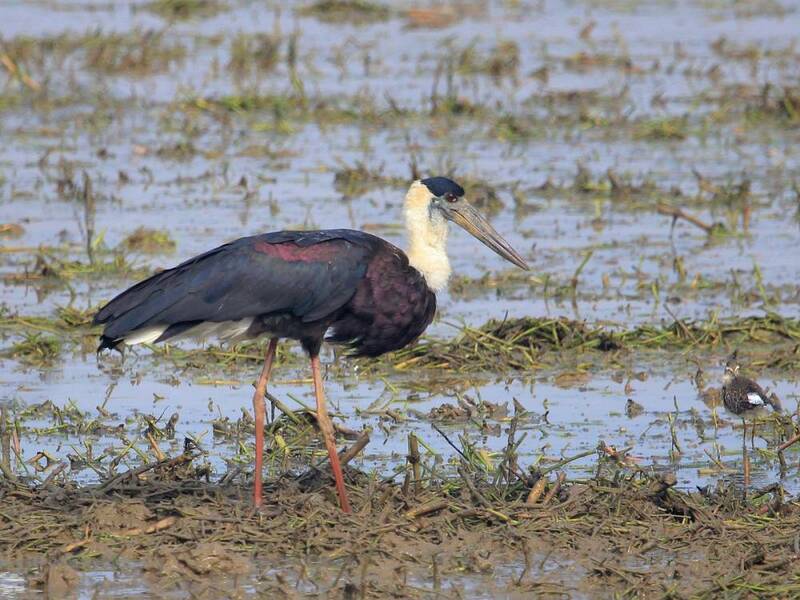 Today I didn’t see Painted Stork, but very close watched one White and three Wooly-necked Storks. 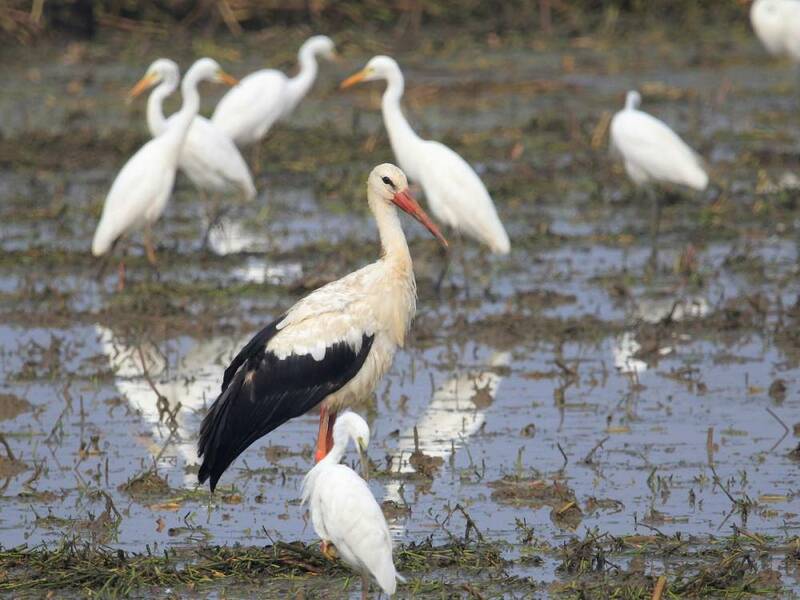 Looks to me, this White Stork is same bird I watched some days ago, may be it moves in this spot from one field to another with the large mixed flock of Egrets together. 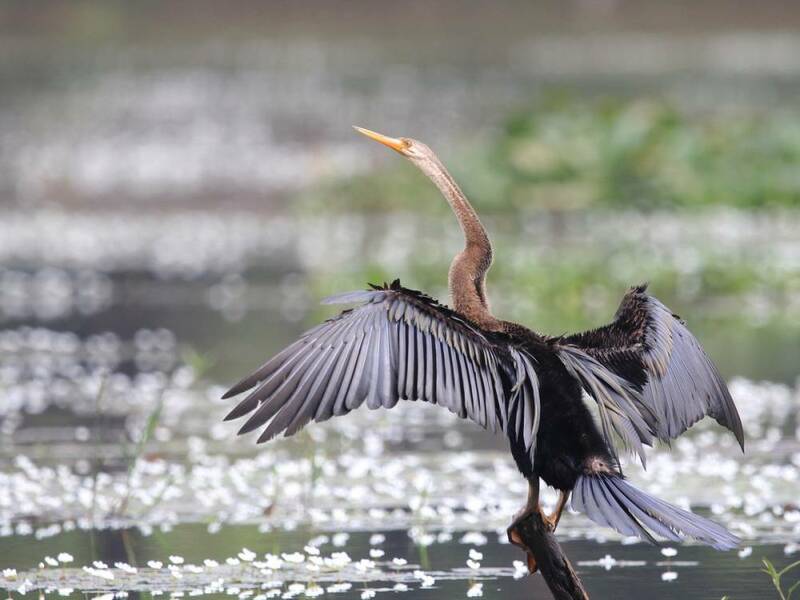 In the back way I noticed Bronze-winged Jacans in the river. Some time I was taking photos from a far and opposite the sun. But then I went through a lot of trouble to another side of the river, and took some good (in my opinion) photos. 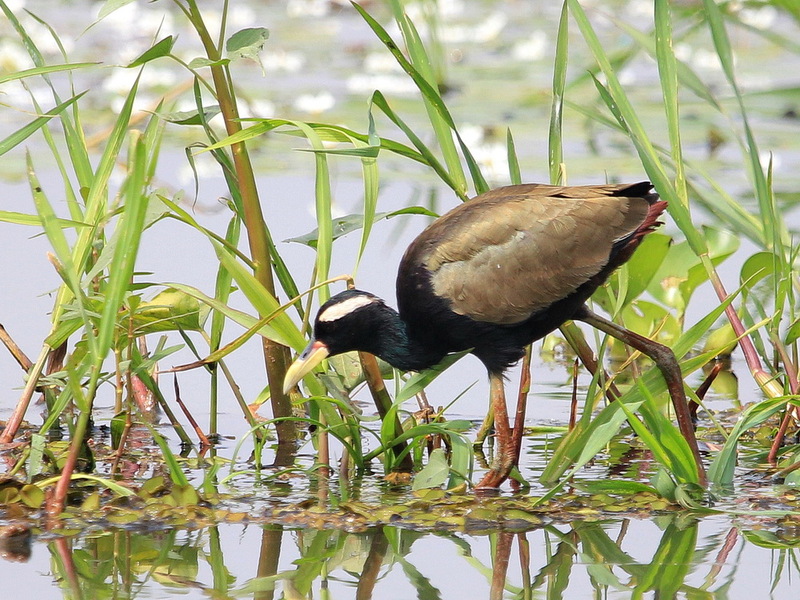 Female Jacana was feeding mostly in water, but male one was prefering to feed in the floating grass. 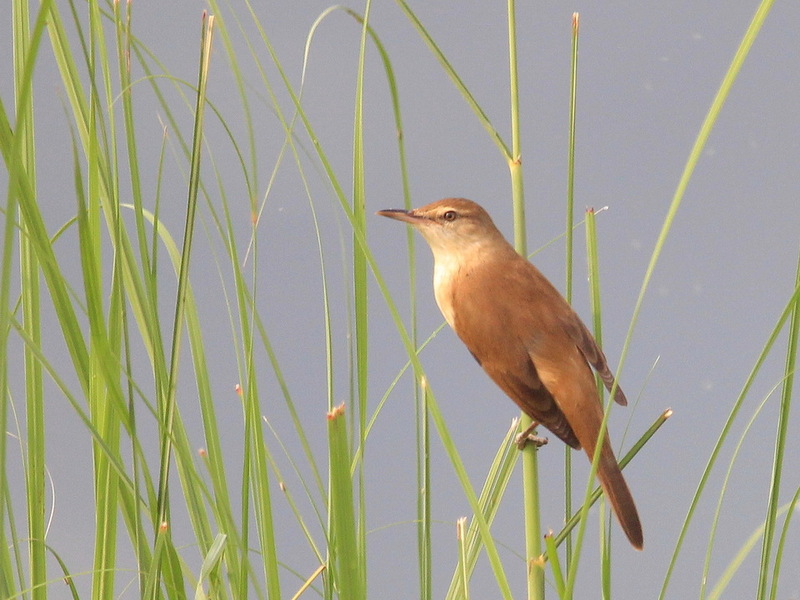 When I was in process of shooting Jacanas I noticed Black-caped Kingfished flew inside the tree in opposite side of river. I made some photos from a far, but the performance in photos is interesting. Kingfisher caught the crab and was trying to swallow it. In the last photos Kingfisher is without prey in bill, but I am not sure bird swallowed crab. Long trip in Kole. 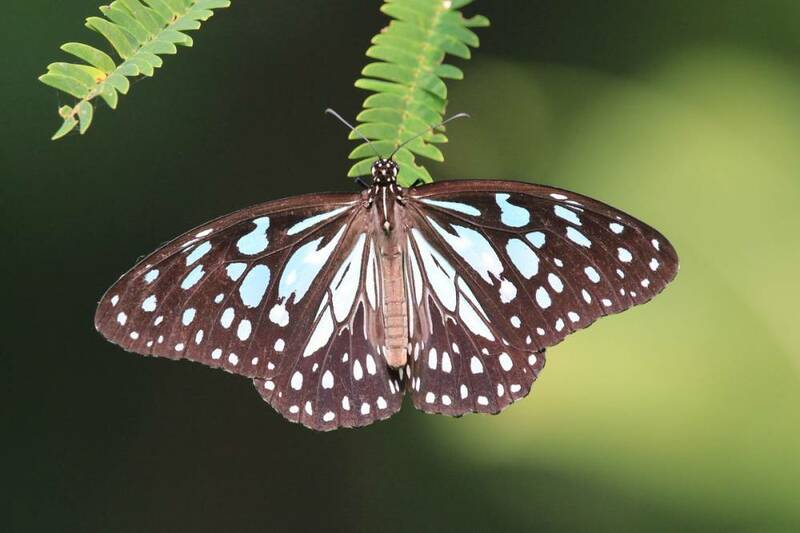 Thrissur. 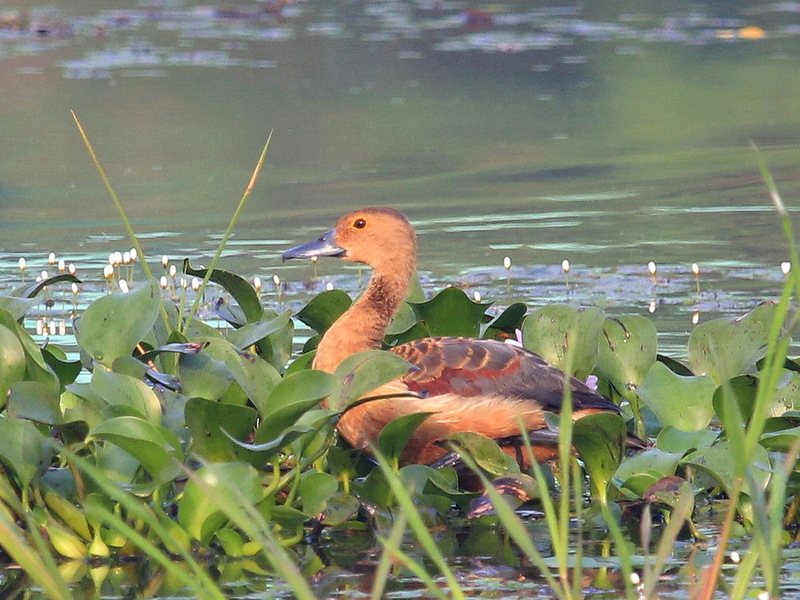 Last visit of Kole wetlands.